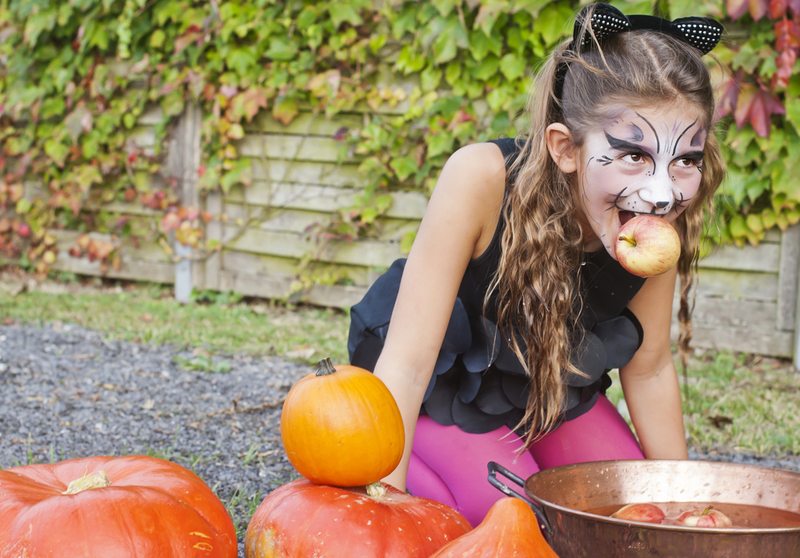 Are you struggling to come up with games ideas for your children’s Halloween party this year? Don’t worry, you’ve still got plenty of time to plan a few activities that will keep them entertained. You can use a plastic pumpkin or a real one for this game and fill it with sweets. Get the children to sit in a circle and pass the pumpkin until the music stops. Whoever has hold of it when the music stops is out, and they get to take a sweet as a consolation prize. They can still join in the game by making spooky noises while the music is playing. The winner is that last person left in the game, just make sure they share all of the sweets at the end! One child leaves the room while another one becomes the ghost, hiding under a big white sheet. The child then enters the room and has to guess who is the ghost. 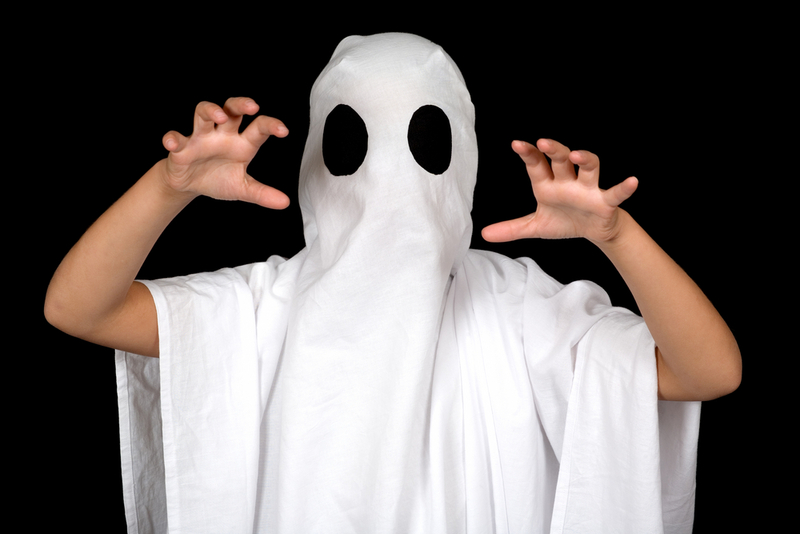 Once the ghost has been revealed they then take the turn of the guesser. 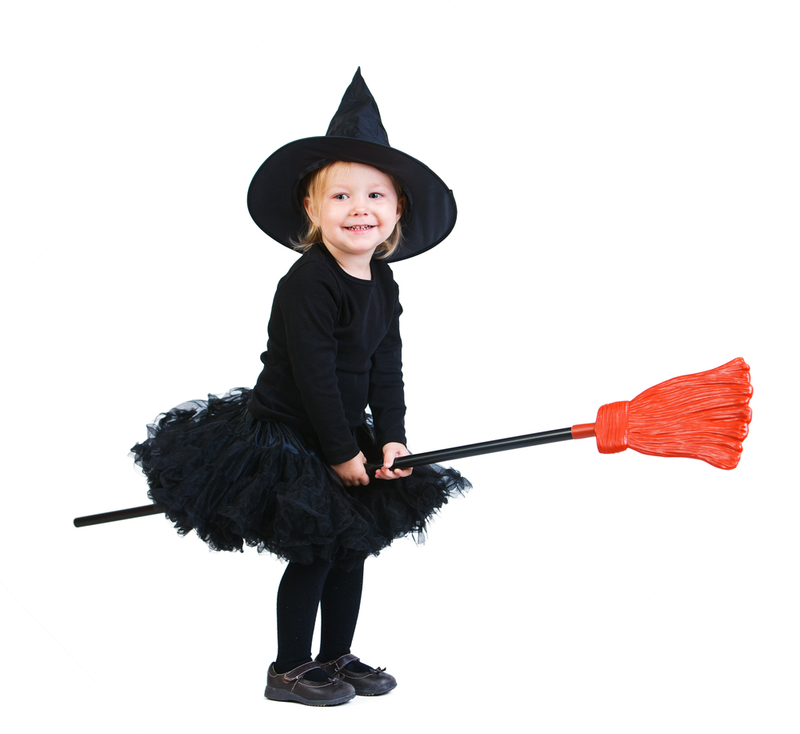 Print out a big picture of a witch and enough warts for everyone who is playing. Put a blindfold on them and spin the child round a few times, before they have to pin the wart to her face. Nearest one to the original image wins. Set up an obstacle course with chairs, get them into teams and give them a witch’s broom each. They then have to push an orange balloon around the course as quickly as they can, before the next team member goes. Be as creative as you can to make the course spooky: stick signs or pictures on the chairs, use toilet roll to create the route, use a bedsheet across two chairs to create a spooky canyon – you get the idea. The classic Halloween party game that’s still great fun. Just make sure that you have some towels on hand because if they want to win, they are going to get wet! 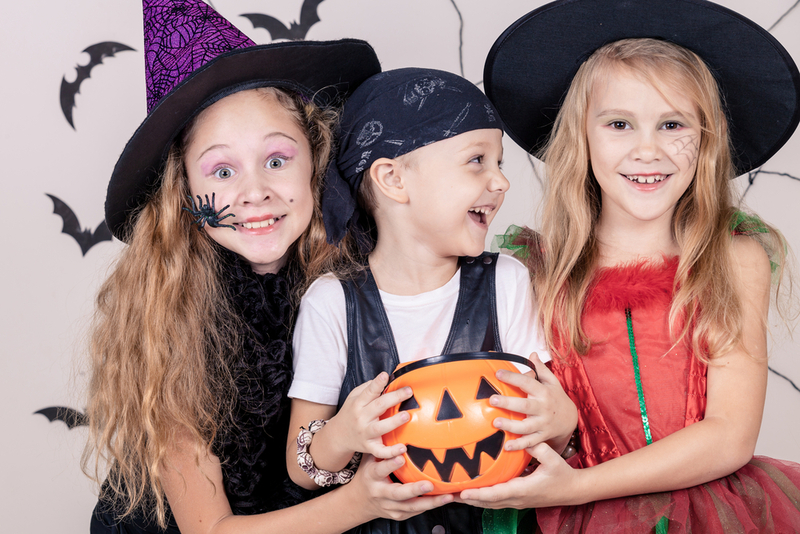 Are you hosting a Halloween party for your kids? What spooky games do you have planned? Tell us in the comments below. Finding time to eat regularly on your shift is difficult enough, never mind trying to eat healthily. You can get bombarded with emergency cases, urgent tasks and demanding superiors without warning, and before you know it lunch has packed up its box and waved you goodbye. Never fear, there are ways to avoid the pangs of hunger hitting at the wrong times. 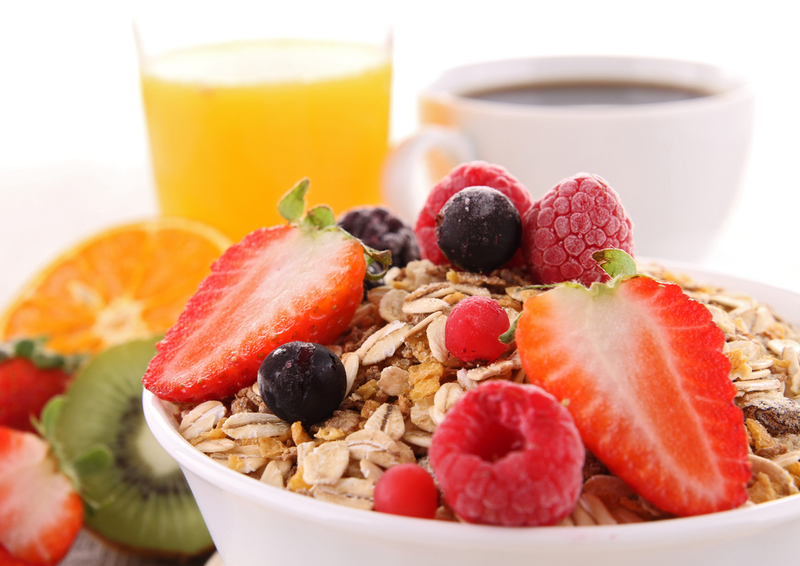 Make sure you eat breakfast before you start work so that you’ve got enough fuel to at least last you the morning. It’s very easy to just start working, thinking that you’ll grab something after, but as you all well know, later doesn’t always come. There are plenty of healthy breakfast recipe’s and snacks that are easy to make and will set you up for your day. Smoothies are a quick and healthy option that you can keep in the canteen fridge. They are packed full of vitamins and minerals and they will fill you up for a few hours. They’re easy to make and there’s a smoothie flavour to tingle every taste bud. 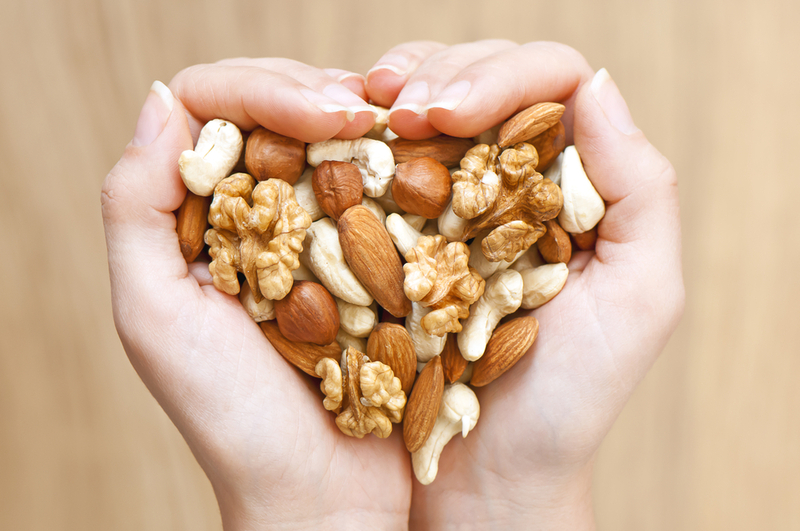 Nuts are packed with energy and are great to fill a temporary void. Just keep a packet in your pocket so you can grab a handful in between jobs to keep you going. The vending machine. Rumour has it, there’s an old NHS folk law that if you pass by a vending machine then you have to feed it with shiny coins, and in return you get a chocolate bar as a prize. Well, maybe that’s not entirely true, but it’s always worth grabbing something as you pass by. When you finally do get the chance to sit down and eat your lunch, take yourself away from everyone if you can. Eat your lunch in a different area, or get outside if the weather’s nice to clear your head before you get back to it. 6. Happy Birthday…pass me the cake? Definitely our best tip – if it’s someone’s birthday, make the most of the cake that they have brought in. Don’t hold back, get stuck in and grab a few, chunky slices. One for now, one for your locker to eat later. If there’s sweets as well, go crazy and fill your pockets. You only live once after all! 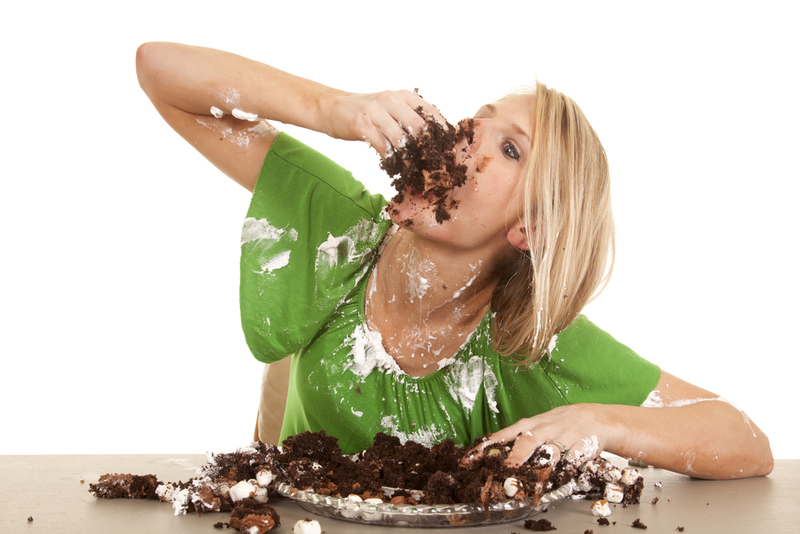 In all seriousness, cake isn’t a healthy option, but making sure that you eat enough food throughout your day is very important so that you have enough fuel in your body to carry out the important job that you all do. Do you have any more tips? Tell us in the comments below. Working in the NHS, you make a huge difference to peoples’ lives every day. You will know, more than most, the good feeling that you get from helping to improve the quality of someone’s life, or just making their day that little bit more special by making them smile. The small things can really make a huge difference. Make a Difference Day is on the 24th October, where people volunteer their time to take part in projects and activities that will benefit their community. A great idea, we’re sure you’ll agree? Make a Difference Day is a chance to build community spirit, meet new people and do something selfless to give something back to your area. All you need is a fun idea, a venue, a bit of promotion for your event and maybe a few keen volunteers to help you out. If you’re into health and fitness this one’s for you. There will be people in your community that can’t afford a gym membership or don’t have the confidence to go to a gym, so hosting a free outdoor exercise session would be a great success. You don’t have to be a personal trainer either; you could organize a gentle run around the park, or do some basic circuit training. 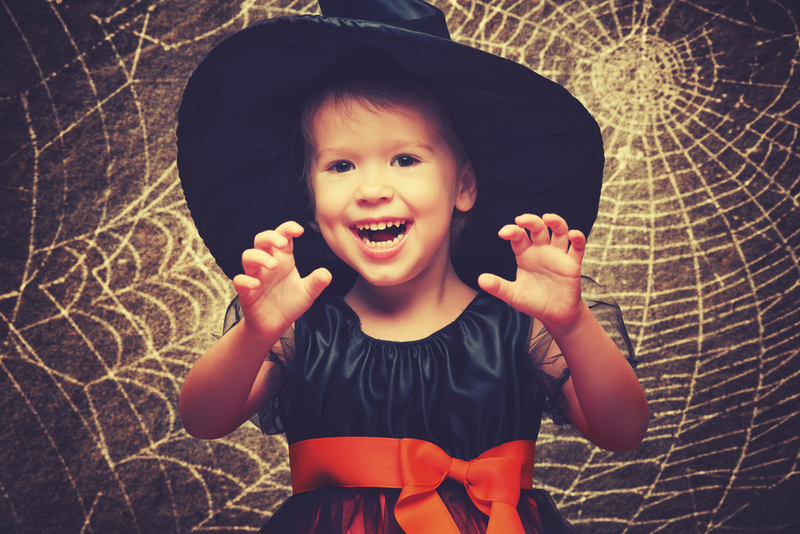 Children love story time and with Halloween approaching it would be a fun idea to dig out some of your best ghost stories, or even better, make your up your own new ones. You could hire out your local community centre or ask in your local library if you can host the event there. If you really wanted to get into the spirit, you could even make it a fancy dress day and give out prizes for the scariest outfits. Environmental play is a great way for children to learn, teaching them about nature and biology. Set up a natural play area at your community centre for children to grow plants, fruit and veg. This could be an ongoing project for children as they could keep a blog and take photographs as they grow. If you’re good at writing or if you’ve had plenty of experience applying for jobs – a CV writing day would be great to help unemployed people in your community. Many people find it difficult to write a CV and don’t want to go to the job centre for help, so this might be a great way to get them engaged and give them some inspiration to apply for jobs. This may not sound as exciting as some of the other activities but it’s certainly a worthwhile job to do for the community. Get a team together to hit the streets, the park or local playground and do your bit to help keep your town clean. Are you getting involved in Make a Difference Day and taking some time out to volunteer in your community? Share your stories so that we can encourage more people what you’ve got planned or let us know about any activities that are taking place in your area. Balancing family life and a career in the NHS isn’t easy. Long, tiring hours at work can leave you drained, but somehow you still have to find the strength to be ‘Supermum’ and ‘Superwife’ when you get home. If you’re just starting your NHS career, or if you’ve decided to take a new direction, this can be a daunting prospect. But trust us, it can be done. Know who you are and what you want in life. If you’re going to manage a job and nurture a family, stay true to what’s most important to you. There will be days when they conflict with each other, but you just have to prioritise which one is most important at the time. Be professional and keep working hard. Even if you’re planning to start a family soon, don’t let that get in the way of you being the best that you can be. When you do have a baby this could come back to work in your favour, as you may be given a bit more flexibility by your employers. Some parents may believe that to be successful in your career and raise a family you have to be some kind of superhero. You can’t be in different places, attending every event, all of the time. Be honest with yourself, your employers and your family. If it means that you have to miss the occasional school event, then so be it. Your world view shifts as your life changes. It’s crazy to think that having children won’t rock your world and have an impact on your career in some way. Having a child might change your views on your career at some point and you may decide that it’s not the direction you want to take. But that’s okay. If you’re going to succeed with your high-flying, nappy-changing life then you need to leave work at the door. Switch off and enjoy your family-time. It’s important not to bring the stresses of work home with you because this is when arguments can arise with your family. This is the last thing that you want. Do you find it difficult balancing your career and life? Tell us in the comments of your experiences and if you have any others tips for others in the same situation. If you’re lucky enough to have this half term off work and you fancy doing something a bit different with your kids, why not dig out your wellies and take them on an exciting forest family adventure? The UK has an abundance of beautiful countryside that is perfect for a fun and relaxing half term break with your family. Nature brings out the best in people. Nothing can take the stress of everyday life away quite like good old Mother Nature (well…. apart from that first glass of wine on a Friday evening); leaving you to relax and enjoy your time off with your family. The outdoors is a magical place for children. They love to explore, learn new things and see the world from a different perspective. Many parents wish their children played outside more. ‘Modern day children’ can be so saturated by technology and computer games that they don’t play outside as much as they would hope. Many children may not have even experienced basic activities that we took for granted as a child, like climbing a tree or making a daisy chain. Kids can learn so much from natural play and its great fun teaching them things that they will treasure forever. 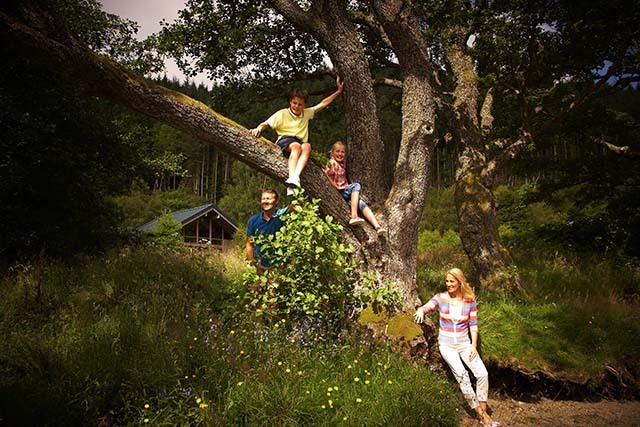 The beauty of a woodland family adventure is that there’s plenty of things for everyone to do. For the more adventurous you can have a go at cycling, hiking, kayaking, climbing and caving. Younger children can join in activity groups, enjoy learning about the outdoors and run around chasing butterflies. While parents and older generations can enjoy scenic strolls, get involved in the activities, or sneak off to the cabin to put their feet up on the veranda and take a dip in the hot tub. Forest Holidays have some fantastic luxury woodland cabins still available this half term across nine locations in England and Scotland. 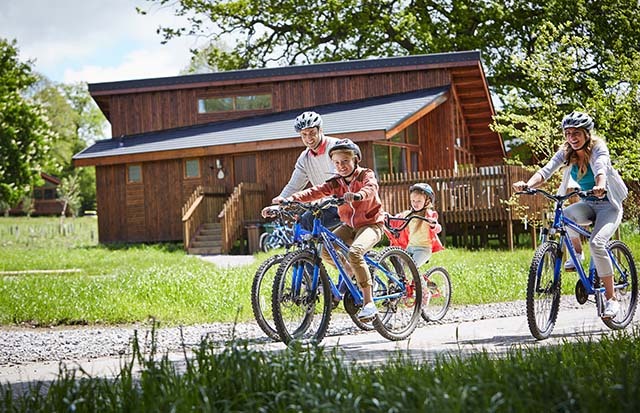 Being an NHS employee, you can get 10% off your Forest Holiday with our fantastic deal. This is your chance to build some real foundations for a love of the outdoors with your children this half term. You never know, you’ll probably end up having more fun than them! Sign up and get your NHS discount code today for your forest family adventure. Today marks the 100th anniversary of World War One nurse Edith Cavell’s death, who was executed by a German firing squad in 1915. 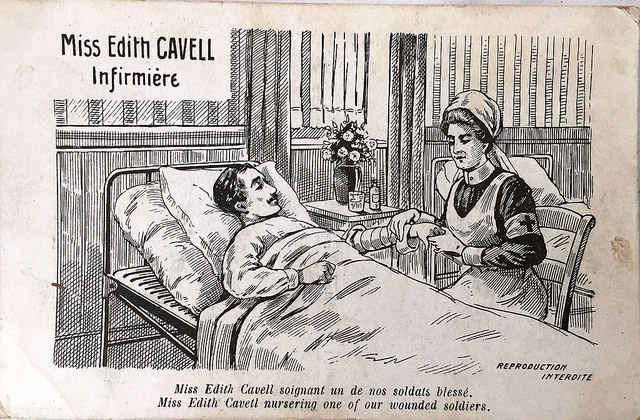 Edith Cavell is a celebrated British nurse, who was born in a small village called Swadeston, Norfolk. During the war, Edith saved the lives of injured soldiers from both sides, without discrimination and helped over 200 Allied soldiers escape from Germany-occupied Belgium to safety. She was court martialed in 1915 and found guilty of treason. Despite internat onal pressure, Edith was executed on the 12th October 1915. Her body was returned to the UK four years later and a memorial service was held at Westminster Abbey, before being laid to rest in Norwich. A number of memorials have taken place across the country today to celebrate nurse Edith Cavell, the work that she did, and what she represents. Public donations in memory of Edith formed a source of funding and The Nation’s Fund for Nurses was born, which later became Cavell Nurses’ Trust. Cavell Nurses’ Trust provides vital support to all UK nurses during their difficult times. They offer help to registered nurses, midwives, healthcare assistants, student nurses and retired nurses, who have given a lifetime of caring and compassion. The work that they do is fantastic and we’re delighted to be able to help such a good cause. The fundamental principle of the Health Service Discounts Lottery is the raising of funds to donate to NHS staff related good causes. 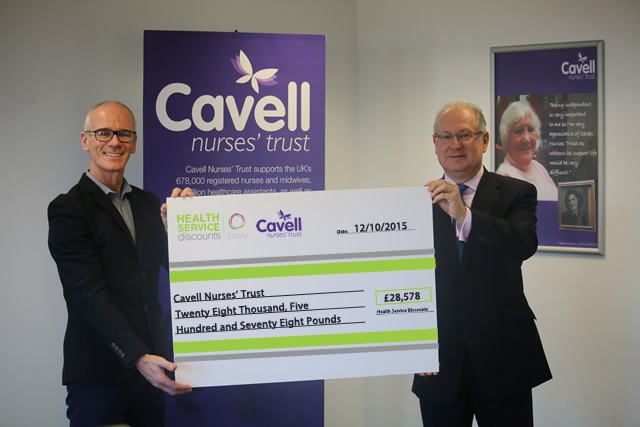 We’ve been donating money to Cavell Nurses’ Trust since November 2014, totaling £28,578.60. When you play our lottery, 30p from every £1 is donated to help NHS staff members who are in need of support. We are proud that we donate the highest percentage of stake money to good causes, higher than any other national lottery. For more information about the Health Service Discount Lottery, the causes that we support, or to sign up to play, visit our website. Let’s be honest; a lot of NHS workers rarely get to sit down throughout their day. Back pain among NHS staff is a real issue. 12 hour shifts, late nights, rushing round the hospital carrying five things at once, standing at operating tables for hours on end – it’s hard work and it takes its toll on your poor back. Here’s some of our best tips to help ease your back problems and let you get on with the amazing work that you do. Comfort is the most important thing when you’re on your feet all day and comfy shoes can make a real difference. So, forget about fashion, no one cares, go for something that will support and protect your feet. 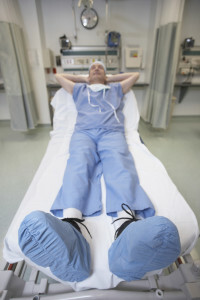 ‘FitFlops’ are a popular choice in the NHS as they have a built-in balance board to help take stress off your back. Come on, confess…. who’s had a cheeky power nap while they’ve been on a night shift? Don’t worry, we won’t tell anyone. If you find yourself nodding off, make sure you’re back’s straight and you’re not crumpled in your chair. Doing a few exercises throughout your day can help keep you loose. If you have a spare few minutes before you see your next patient, do some light stretches. Be careful when you’re carrying heavy items; always use good moving and handling techniques so you don’t hurt your back. Make the most of your time off. Treat yourself to a back massage or spa day to help with any aches and pains. You can get 22% off a spa day voucher if you’re an NHS employee and you’ll come back to work ready to take on the world again, one patient at a time. Have you registered for your NHS discounts? Sign up for free and see what you’re entitled to! What do doctors, nurses, paramedics, police officers and fire-fighting staff all have in common? They are all at risk of sleep disorders. If you work at night or often rotate shifts, you may share that risk. Shift work twirls the dials on your body’s biological clock until it can’t tell when it should wake you up and when it should let you sleep. Working at night or irregular shifts can keep you from getting the important snooze-time that most daytime workers take for granted. A lack of sleep can affect memory and the ability to focus can become impaired. Shift workers who are sleep-deprived can often get irritable or depressed, resulting in their relationships and social life suffering too. If your job requires that you work night shifts or hours other than the traditional 9 to 5, you need to pay close attention to your sleep. Avoiding bright lights on your way home from work will make it easier for you to fall asleep once you hit the pillow. Don’t stop to run errands either, tempting as that may be. Drinking a cup of coffee at the beginning of your shift will help promote alertness. Try not to consume caffeine later in the shift or you may have trouble falling asleep when you get home. Use blackout blinds or heavy curtains to block sunlight when you sleep during the day. Sunlight is a potent stimulator of the circadian rhythm, even if your eyes are closed, the sunlight coming into the room tells your brain that it’s daytime. Fine tune your body clock in to your sleep with anchor sleep. Aim to have at least four hours sleep at the same time every night/morning (e.g. 3-7am). Lavender, passionflower, hops, orange blossom, Scot’s pine, camomile and peppermint all claim to promote sleep. And milky night time drinks really do help bring on sleep. Maximum sleepiness occurs when your biological clock temperature is at its lowest. Ensure your duvet compliments the ideal sleeping temperature for you. If you are too cold or too warm, restful sleep will be difficult to achieve. If you work rotating shifts, ask your manager to schedule succeeding shifts so that a new shift starts later than the last one. If you’ve just finished a 3pm to 11pm shift, for example, you’ll be more alert and sleep better if the next shift you work is 11pm to 7am. Tell them that you are working hard and sometimes work nights and ask them not come into your room unless it’s an emergency. And be sure to specify precisely what is – and what is not – an emergency. Although alcohol may seem to relax you so you can get to sleep quicker, what it actually does is disrupt your sleep later in the night. As a result, you get less sleep and sleep that’s less than refreshing.